In Bangladesh now different commercial banks and the non banking financial organizations are operating there business. And every organization now involved attracting the retail customers that means the middle income group people of the country. To draw their attention the sells persons of different organization try to knock every possible door. These activities of different organization increase the interest about this sector. As both commercial banks and the non financial institutes are in the market, so it makes confusion to the general people about the activities of these organizations. This article helps the customers to makes differentiate between these. Banks, usually a corporation, that accepts deposits, makes loans, pays checks, and performs related services for the public. The Bank Holding Company Act of 1956 defines a bank as any depository financial institution that accepts checking accounts (checks) or makes commercial loans, and its deposits are insured by a federal deposit insurance agency. A bank acts as a middleman between suppliers of funds and users of funds, substituting its own credit judgment for that of the ultimate suppliers of funds, collecting those funds from three sources: checking accounts, savings, and time deposits; short-term borrowings from other banks; and equity capital. A bank earns money by reinvesting these funds in longer-term assets. 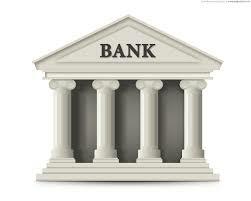 A Commercial Bank invests funds gathered from depositors and other sources principally in loans. An investment bank manages securities for clients and for its own trading account. In making loans, a bank assumes both interest rate risk and credit risk. Carrying out payment for goods and services on behalf of their customers. Aiding customers in fulfilling their long rang goals for a better life by building, managing, and protecting savings. A Bank is an organization that accepts customer cash deposits and then provides financial services like bank accounts, loans, share trading account, mutual funds, etc. A NBFC (Non Banking Financial Company) is an organization that does not accept customer cash deposits but provides all financial services except bank accounts. At independence the value of the taka, Bangladesh’s unit of currency, was set between 7.5 and 8.0 to US$1. With the exception of FY 1978, the taka’s value relative to the dollar declined every year from 1971 through the end of 1987. To help offset this phenomenon, Bangladesh first used the compensatory financing facility of the International Monetary Fund (IMF–see Glossary) in FY 1974. Despite the increasing need for assistance, the Mujib government was initially unwilling to meet the IMF’s conditions on monetary and fiscal policy. By FY1975, however, the government revised its stance, declaring a devaluation of the taka by 56 percent and agreeing to the establishment by the World Bank of the Bangladesh Aid Group (see Foreign Assistance, this ch.). Between 1980 and 1983, the taka sustained a decline of some 50 percent because of a deterioration in Bangladesh’s balance of payments. Between 1985 and 1987, the taka was adjusted in frequent incremental steps, stabilizing again around 12 percent lower in real terms against the United States dollar, but at the same time narrowing the difference between the official rate and the preferential secondary rate from 15 percent to 7.5 percent. Accompanying this structural adjustment was an expansion in the amount of trade conducted at the secondary rate, to 53 percent of total exports and 28 percent of total imports. In mid- 1987, the official rate was relatively stable, approaching Tk31 to US$1.